You may have noticed something missing from the gym if you’ve been in recently…the fridge is gone and we’ve decided to replace the sports drinks we stocked previously with a healthier alternative. If you have kids who love the sports drinks you may want to consider some of these facts. 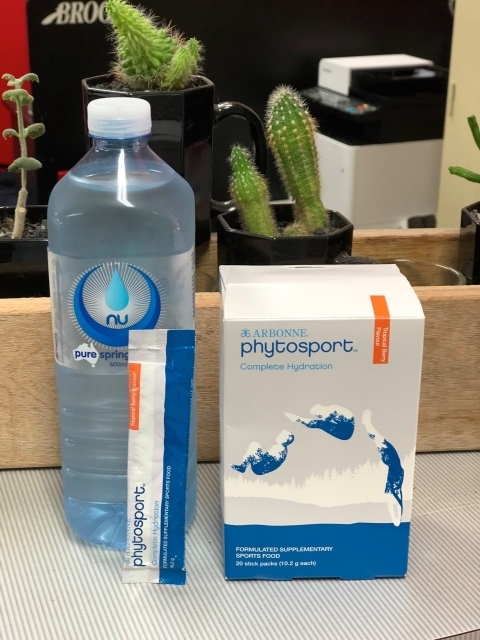 The sports drink manufacturing companies are a million dollar market; so their focus is to try to make you think you that you will have a psychological advantage when competing if you consume their product – especially kids when they see their favourite sports star drinking one! We are now stocking Arbonne “Complete Hydration” which contains no artificial colours, flavours, sweeteners, is low calorie, and is formulated for absorption of key electrolytes that we lose when we sweat – Sodium, potassium, chloride & magnesium are vitally important for regulating and distributing fluid to all of your body’s cells – without them helping out, you can’t get the proper hydration you need, especially during an intense workout. Helps replace fluids and electrolytes lost during activity. Speak to Matt or Sharon for a free sample. Sharon goes into further information about hydration – read about it here. ← Am I too old to start weight training?